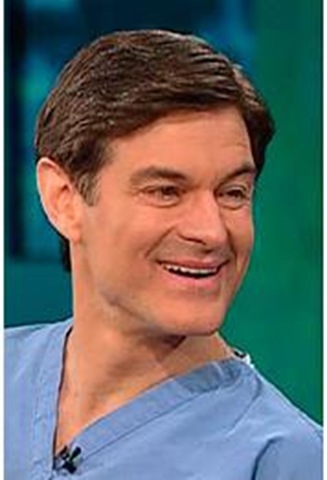 Dr. Oz (made famous by Oprah!) has become well known for his diet plan which focuses on how to stay healthy and fit even if you have hectic office hours and can't exercise regularly. Dr. Oz divided his weight loss plan in to 6 categories of nutrition which include 6 mini-meals consisting of 1) Protein: yogurt, fish, nuts, beans 2) Healthy Fats: walnuts, olives, canned salmon, seeds 3) Whole Grains: Brown rice, oatmeal, pasta, breads 4) Fiber: Fruits, Vegetables, Nuts and seeds 5) Metabolism Booster: Salad and hot green peppers 6) Healthy Sweets: dark chocolates, a vitamin D supplement, and a multi-vitamin. Breakfast is a key component to Dr. Oz's diet plan as he has found that people who eat breakfast tend to have less fat than those who do not. As are fresh fruits and vegetable which are naturally healthy, low in calories, and low in fat. Apart from the food diet, Dr. Oz also gives some tips to people who rarely exercise. He suggests parking at the far end of the parking lot when grocery shopping, going to the mall etc., using bathrooms on different floors, and always taking the stairs instead of taking the elevator. He also recommends that people walk at least 30 minutes a day stating that "walking is the foundation for all other exercises because it increases your stamina and prepares your body for strength training." Dr. Oz tells people to avoid hydrogenated oils (which I avoid posting about), sugar, high fructose syrups (also on the Yummy Diet food no post list), enriched flour, and bleached flour. I followed the "YOU: On a Diet" diet for quiet awhile a couple of years ago and found it to be sensible, easy, and enjoyable. I felt healthy and lost weight on it with ease. Once you read his chapter about HFCS, you will avoid it like the plague!